The end was written in the history books. Philip and Elizabeth Jennings were on the losing side of The Cold War, and The Americans never gave any indication that it was going to revise the outcome of that long-concluded conflict. The Jennings were destined to fail, and The Americans’ challenge was in making us care about the people caught up in that downward spiral, a task it met by keeping the stakes high but the scale small—it isn’t until these final few hours of the show that the Soviet sleeper agents are caught up in anything that could truly shift the balance of power between the United States and the USSR. After all those near misses with stealth technology, biological weapons, and agricultural sabotage, the end of the Jennings’ time in the U.S. comes down to a plot to unseat the most powerful man in the Soviet Union. According to showrunners Joe Weisberg and Joel Fields, those details were determined early on, and as seen in “START,” they landed on a conclusion that reflects the series as a whole: Tense, understated, affecting, and one of the greats. The tragedies of “START” do not leave physical marks. It’s a series finale without a body count, featuring a stand-off where words are exchanged rather than bullets. Nevertheless, lives are irreparably shattered: Paige and Henry lose their parents and each other, entire fields of doubt are planted in Stan’s mind, and Oleg stands to spend the remainder of his days in prison. And although our two main Russian spies return safely to the motherland, Philip and Elizabeth Jennings of Falls Church, Virginia are technically dead, buried in a small hole of documents and belongings near a park and ride. Solitude is more menacing than any loaded gun in “START,” and it’s both a threat and a motif that’s humming in the background throughout the finale. Keep tabs on all the times Philip and Elizabeth are separated, either by the necessity of their escape or by the placement of the camera; feel that tinge of relief when they huddle together in the back of Arkady Ivanovich’s car. Witness the courage and the anguish Holly Taylor embodies when Paige’s path diverges from her parents’—not by force, but more poignantly, by choice. 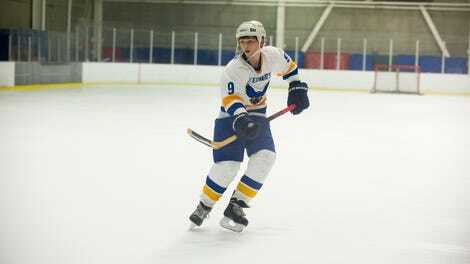 The barrier of the train window is echoed by the glass of the St. Edward’s ice rink, which Stan taps on before bringing Henry the bad news about his parents. Philip’s response to Paige’s last-second detraining is not to run after his daughter, but rather to take a seat next to his wife. Working alone has at least one explicit advantage: If Stan doesn’t stake out Paige’s apartment all by himself, it’s possible that none of these characters survive “START.” The middle section of the finale is spectacular, a breathtaking suspense sequence whose emotional honesty would mean a little less if it occurred any earlier in the show’s run. All of the weight—Stan’s feelings of betrayal and the Jennings’ pleas—and all of the pressure of the moment are supported by the previous 74 episodes of The Americans. You can see the show place its full trust in the actors as they confront the show’s big secret, and their characters deal with it as a matter of friendship first and national security second. I love when the scene cuts to Elizabeth and Paige, and their eyes are pointed in opposite directions: Elizabeth’s toward her husband and partner, and Paige’s toward the guy with the gun. If Matthew Rhys is nominated for an Emmy this year, Philip’s appeal to Stan should be the clip that plays during the ceremony. But Noah Emmerich’s half of that conversation is proof that he too should be on the TV Academy’s radar: He plays the realization of Stan’s greatest nightmare with such a steady hand. Befitting Philip’s faith in The Forum, Rhys is the cast member who winds up externalizing the stress of “START”; for Emmerich and Keri Russell, the finale is more internalized. Stan doesn’t say why he’s letting the Jennings escape, just as we don’t hear him tell Henry the truth about his parents and sister. After all this time of playing the character with the least to hide, Emmerich shows us a man shouldering a gigantic secret, telling only Henry of his encounter in the parking garage, feigning surprise at the composite sketches, and communicating just a smidge of suspicion in that hug with Renee. “START” is a finale whose big ideas—series-long themes like identity, family, and trust—power a slow-motion procedural. With the manhunt officially on, we watch the FBI’s investigation and the Jennings’ escape step by step, each fraught with meaning and peril. It walks right up to the edge of “too much,” but never topples over it: Philip spends just the right amount of time distracted by that nuclear family having a good time with the great taste of McDonald’s. It’s a journey for Elizabeth and Philip, one where they progressively shed the trappings of their American life until they’re riding in a boxy Soviet car, soundtracked by Tchaikovsky, and speaking in their native language. It’s an emotional journey, and I couldn’t be more grateful for the fact that it doesn’t go for anything more grandiose than Joshua Tree-era U2. We’re so conditioned for spectacle from series finales that we’ll argue for more than a decade over an abrupt cut to black; “START” gives The Americans my favorite type of TV ending: One that ends a chapter in its characters’ lives, but not the whole story. I was always of the belief that The Americans had at least one good on-the-lam season in it, but I’ll settle for that playing offscreen, especially since the Jennings’ return to the USSR is not without consequence. “All of our stories are fucked up,” Joe Weisberg told The A.V. Club at the end of season five, and it’s true to the last. “START” is a series of fucked-up decisions and fucked-up farewells, the everyday stuff of life warped by the characters’ line of work. Philip and Elizabeth stay together without the kids. Paige gets off the train to freedom to go slug shots of vodka in an empty safe house. Elizabeth appeals to the neighborly bond between the Jennings and the Beemans, and then totally lies to Stan about not killing people. (She just shot Tatiana, and just told Philip about it!) This is as happy as endings get on The Americans—nobody’s in a shallow grave or a suitcase or a pool of blood on a prison floor. I’m grasping at some sort of larger, more profound point to wrap these recaps up in, when I should probably take a cue from the show and decline the grand gesture. Because even when the Jennings have finally, finally uncovered some information of global significance, The Americans still finds its most pointed and poignant material on a micro level. Getting the intelligence about the KGB coup to Russia isn’t the driving force of “START”—getting the Jennings there is. 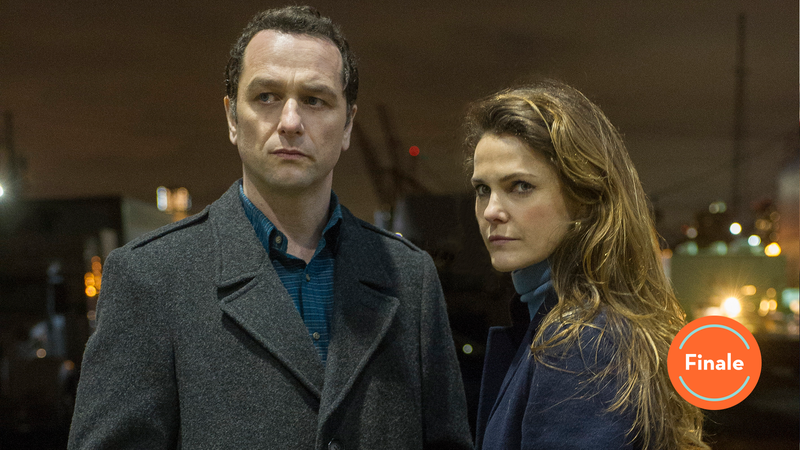 Weisberg and Fields have always been quick to point out that The Americans is first and foremost a show about a marriage, and their series finale backs that up. The episode begins with Philip anxiously awaiting Elizabeth’s arrival, and ends with the couple gazing at the landscape that represents their past, present, and future. They’ve made tremendous sacrifices to get there, which “START” emphasizes in manners touching, shocking, and conclusive. The dream Elizabeth has on the plane ends when she finds she’s in bed alone; later, fantasizing about the life in Russia she didn’t have, she frames her meeting with Philip as an inevitability. The Americans exists in the space between those fictions: The spies who loved each other as part of the job, then loved each other in spite of the job. For years, they gave themselves away to their country, trying to build a better world that was always just out of reach. Elizabeth was a true believer, but Philip was swayed by other philosophies. They cannot return to their adopted country, and their homeland will appear completely alien to them. Standing on that bridge, all they have is each other. “I saw them out of their disguises, once,” Father Andrei tells Aderholt. Now we can say the same thing. I can’t think of a better image for The Americans to end on. The Americans Wig Report: Season 6, Week 10: B+ Like Stan confronting the Jennings, Paige in disguise is a milestone wisely held until the series finale. But I do have to question Elizabeth’s disguise—there’s a split second in her border patrol screening when I thought the agent was going to see through the getup. The Americans Soundtrack Report: Season 6, Week 10: A I’ll admit it: I was skeptical when I read the soundtrack notes that FX sent along with the finale, and not just because I was placing my money on a Peter Gabriel and Kate Bush duet as the finale’s showstopper. U2 is a big, big, big swing, and to go with one of their most anthemic singles, one that was used as the namesake track for a Billions episode a little over a year ago? Seemed risky. But I’ll be damned if I didn’t get the chills multiple times during “With Or Without You,” the strongest of which occurred when the episode recycles Bono’s “Ho-oh-oh-oh” for Paige’s train gambit. The Tchaikovsky reprise is a subtler touch, as is the title track from Brothers In Arms by Dire Straits—who, after their appearance in Halt And Catch Fire’s “Goodwill,” can officially be declared the sultans of poignant period-piece needle drops. Either way, a tremendous bow from the music supervisors. Was there any Mail Robot? So many cast members get a chance to shine in “START”: We covered the Rhys, Russell, and Emmerich highlights above, but how about Brandon J. Dirden in those interrogation scenes? Or Holly Taylor, absolutely devastating with that whispered “I can’t” when Paige is handed the phone to say goodbye to Henry? But if you’re looking for a curtain call that packs a punch in minimal screentime and in characteristically unshowy fashion, might I suggest the scene that immediately follows that wrenching phone call? There we find Mail Robot standing sentry outside of counterintelligence, wavering not from its duties even when emotions are running high. Farewell, old friend—maybe we’ll meet again one day in the halls of FX. In addition to the Series Finale Hall Of Fame, I’d like to nominate “START” for the pantheon of great TV episodes that take place at Christmastime, but aren’t Christmas episodes. The melancholy vibe of the episode is enriched by the softly glowing decorations scattered through the background. And that closes the case file on The Americans. Thank you for reading and commenting on The A.V. Club’s coverage of the show throughout the years—kudos to those who’ve been here since the Todd-and-Genevieve crosstalk days. Inheriting the beat was not something I took lightly, and it’s been an honor to write about the show for the past four seasons. Do svidaniya, farewell, and amen.